Techcanvass is publishing series of posts, written by CBAP certified professionals to share the experienced of professionals in getting CBAP certified. My CBAP certification journey is the experience of Mr. Manoj Kulkarni. Manoj Kulkarni is a Consultant at Capco with experience in fixed income, equity derivatives and credit risk management. He holds a Master’s degree in Finance. 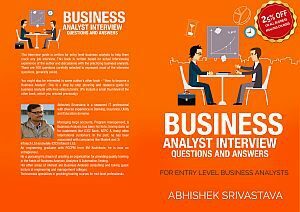 After having worked as a lead business analyst for around 8+ years on the professional front, I was wondering, if there a way to get my business analysis skills validated by professionals and to gain more insights into the day-to-day work which I was doing. Having gone through series of interactions with numerous professionals/stakeholders regarding CBAP, I decided to go for it. Well, I have always operated on DCS principle, i.e. D stands for Decide on what you have to do. Then C stands for Commitment on your time/money/energy and finally S stands or success which you strive for. 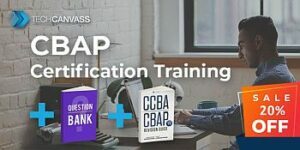 Let me share with you my journey of getting CBAP certified. 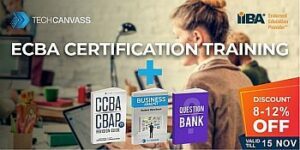 I have drafted 7 steps to take you through certification journey. This acts as a filter point in order to check if your current work is exactly what a BA does? And this also helps you to answer many questions which revolve around case studies based questions. This exam is completely based on the captioned book, you have to go through this book line by line and word by word, there is no shortcut to this. The questions might be from any part of this book and can use any of the concepts and scenarios. The questions, I was told, are going to be case studies based. Ideally, you should be going through the book at least 3 times. This comprises of having minimum hours of classroom training required before you take up the exam. Many IIBA endorsed institutes do provide this and that will be one of the requirement to be fulfilled. You need 35 hours of PDUs for CBAP and 21 hours for CCBA. Prepare, prepare and prepare- that’s the mantra. It’s like going back to your classroom days. Go through the training program, you have opted for. After the session, revise the chapters and read additional study resources. Solve simulation of questions chapter wise. As I am working (like you), managing time for study is tricky but make use of weekends and on weekdays after office hours should come handy. It’s a good idea to devise a target for exam date and then plan backward so that you can more focused. I did the same and that helped me get focused. I bought access to additional resources like study guide and practice tests. You can purchase these from Watermark Learning or Techcanvass. I also started to take simulation exercises chapter wise, and keep checking my score until it hit a minimum of 80%. Once I covered all the chapters, I went for full length simulation exams. This served as mock up exams before taking the mains. You are bound to get some of your answers wrong, make note of these incorrect answers. I followed a tick back method to keep track and to analyze the approach taken solving the questions. This was a great help in a quick concept review. I actually completed step 5 and 6 earlier to keep me focused in my preparation. You can do it after you start feeling confident about your preparation. The application form is available on the IIBA website. You need to fill in required number of hours from your work experience. You also need to provide 2 names for your professional work as references, they can be your reporting manager and a CBAP professional who is known to you. This is important, as it gives you a target date and brings focus to your preparation. Please make sure that you always have sufficient time in your hand before booking your exam date as this gives you enough room for your preparation. Attend the exam with confidence and try to keep your calm. I found the questions a bot tough initially, so didn’t spend more than 4 minutes on one Q. I kept on going further and answered the questions, I was confident about. You can mark the questions for review, and can come back to them when you have got more time for review. Hope this will help us you all to nail CBAP. All the very best! He is a Solutions-oriented and practicing business analyst. 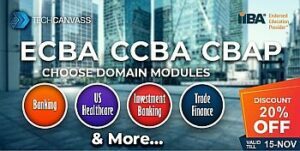 A CBAP certified professional having more thanr 9 years of hands on experience in Investment Banking-(Capital Markets), Fixed Income Settlements-Mid office, Risk Management and Complex Derivatives. 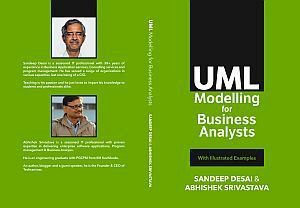 He is an MBA in Finance with 18 Finance certifications on various NSE Modules till date. He is also a Cambridge University Certified in Business English. Currently working with Morgan Stanley on Statement and Confirms space. Prior to Capco, he has also worked with the other Investment Banks such as CITI Group & Nomura.